A-HOTEL.com - Luxury and cheap accommodation in Cheremisskoye, Russia. Prices and hotel, apartment booking in Cheremisskoye and surrounding. Set in Kstovo, GRK - Kalipso provides barbecue facilities, garden and terrace. All rooms feature a flat-screen TV with cable channels and a private bathroom. Set in Kstovo, Alexandrapol Hotel offers a terrace. Featuring a shared lounge, the 3-star hotel has air-conditioned rooms with free WiFi, each with a private bathroom. Located in Kstovo, Ул. Кстовская, 11 provides air-conditioned accommodation with a balcony and free WiFi. Set in Kstovo, 2.8 km from Kstovo Bus Station, Kstovo Residence offers a living room with a flat-screen TV, and free WiFi. Kstovo Residence offers accommodation in Kstovo, 2.8 km from Kstovo Bus Station. Situated 2.8 km from Kstovo Bus Station in Kstovo, Apartment in Kstovo II offers accommodation with a kitchen. 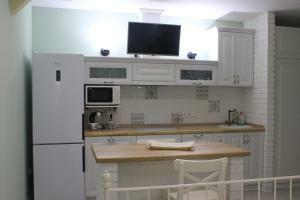 Located 2 km from Kstovo Bus Station in Kstovo, Apartment in Kstovo offers accommodation with a kitchen. The apartment has a flat-screen TV and 1 bedroom.